Signed by the Atlanta Braves as a non-drafted free agent on July 2, 2010...Signed by Robert Aquino...On Atlanta disabled list (right elbow strain) from March 30 to May 7; included a rehabilitation assignment to Single-A Florida and Triple-A Gwinnet. Began the season on the major league disabled list before spending the remainder of the season in the minor leagues with Double-A Mississippi and Triple-A Gwinnett…Went 3-2 with a 6.20 ERA (31 ER/45.0 IP) in 41 combined games out of the bullpen…Walked 46 while striking out 39...Placed on the 10-day disabled list on 3/30 with a right elbow strain and after making a rehabilitation assignment to Single-A Florida and Triple-A Gwinnett, was optioned to the G-Braves the day he was activated, 5/7...Optioned to the M-Braves on 8/2, where he finished the season…Issued at least one walk in 12 of his 14 games with Mississippi. Split the season between Atlanta and Double-A Mississippi, making his major league debut on 6/27 with a scoreless inning of relief vs. CLE...Started the year with the M-Braves before the Braves recalled him on 6/27…Remained with the Braves for the remainder of the season, fi nishing with six saves and fi ve wins to become the eighth Braves rookie in Atlanta franchise history to have at least fi ve wins and fi ve saves in a season…Mike Stanton did it last in 1991, winning fi ve times and saving seven games... His six saves were fourth most among MLB rookies…From the date of his debut (6/27) through the end of the season, his 41 games pitched tied for the most appearances by a rookie pitcher in the majors…Among all pitchers in that time frame, Cabrera tied for the seventh most appearances in the majors, fi ve off the lead of ARI's Randall Delgado and SD's Brad Hand...Did not allow a home run over his 38.1 innings pitched...His run is the fi fth-longest active homerless streak in the NL…By games (41), Cabrera's streak is the fifth longest in Atlanta franchise history (since 1966)…Did not allow a home run for the M-Braves either…Last surrendered a home run on 8/19/15, a span of 78.0 professional innings...Finished with the second-highest average pitch velocity in the majors at 100.6...Only Aroldis Chapman (100.9) threw harder, according to MLB's Statcast…He and Chapman were the only two pitchers to throw a pitch at least 103 mph... Earned his fi rst career win, 7/19 at CIN…Struck out two over 1.2 innings in a 5-4, 11-inning win... Collected his fi rst save, 6/30 vs. MIA…Retired the only batter he faced in the 8-5 win. Compiled a 1.25 ERA (3 ER/21.2 IP) over 21 games, 6/23-9/7... Held righties to a .189 average (14-for-74) with one extra-base hit...Entered the 2016 season ranked by Baseball America as the Braves' 29th-best prospect. Entered the 2016 season ranked by Baseball America as the Braves' 29th-best prospect. ... Split his fifth professional campaign between High-A Carolina and Double-A Mississippi. Totaled a 2-3 record with one save and a 5.59 ERA while striking out 53 over 48.1 innings. ... Collected his first professional save on 6/6 at Myrtle Beach when he retired each of the six batters he faced, including two by strikeout. ... Logged 53 strikeouts over 48.1 innings, an average of 9.9 strikeouts per 9.0 innings pitched. ... Did not allow a run in 23 of his 36 appearances, including 36.1 of 48.1 innings pitched. ... Allowed one earned run or less in 28 of his 36 appearances. His ERA in those games was 1.05 (5 ER/42.2 IP), while opponents batted just .125. In his other eight outings, his ERA was 39.71 (25 ER/5.2 IP), while he allowed 24 hits (.600 opponents' batting average) and issued 13 walks. ... Entered the 2015 season ranked by Baseball America ranked as the Braves' 17th-best prospect. Tabbed by Baseball America as the Braves' 17th-best prospect entering the 2015 season...Spent the majority of his fourth professional season with High-A Lynchburg, going 1-1 with a 5.59 ERA over 19 appearances (three starts)...Opened the season with Lynchburg and made three starts (10.1 IP) before being placed on the disabled list on 4/24 with a right elbow injury from mid-April through the middle of June...Made three rehabilitation appearances (two starts) with the GCL Braves, 6/20-30, totaling 4.0 IP...Reinstated from the disabled list on 7/2 and returned to Lynchburg where he transitioned to the bullpen for the remainder of the season...From 7/2 through the remainder of the season, posted a 7.23 ERA over 18.2 IP. From 7/2 to 8/14, his ERA was 2.81 with 16 strikeouts in 16.0 IP while holding opponents to a .214 batting average. Over his final four outings, he allowed 10 earned runs in 2.2 IP...Went 0-0 with a 2.92 ERA as a starter (five games started) and was 1-1 with a 7.40 ERA in 17 relief appearances. His lone win came 7/29 vs. Wilmington when he tossed 0.2 scoreless innings in relief. Suffered his lone loss on 8/14 at Winston-Salem when he allowed one run (unearned) in 1.0 IP...His longest outing of the season was 4.0 IP and came in his first outing of the season, 4/4 at Frederick...Had his contract purchased and was added to the 40-man roster on November 19.
batters in 5.2 innings on 5/15, his highest strikeout total on the season. starters...In three June starts he surrendered just seven total hits on his way to a 1.29 ERA (2 ER/14.0 IP). Earned the August organizational Player of the Month award for the DSL (0-0, 3.00 ERA). February 27, 2019 RHP Mauricio Cabrera assigned to Chicago White Sox. August 25, 2018 Birmingham Barons activated RHP Mauricio Cabrera from the 7-day injured list. July 26, 2018 Birmingham Barons sent RHP Mauricio Cabrera on a rehab assignment to AZL White Sox. July 20, 2018 Chicago White Sox signed free agent RHP Mauricio Cabrera to a minor league contract. July 20, 2018 RHP Mauricio Cabrera assigned to Birmingham Barons. July 20, 2018 Birmingham Barons placed RHP Mauricio Cabrera on the 7-day disabled list. July 11, 2018 Florida Fire Frogs released RHP Mauricio Cabrera. April 5, 2018 RHP Mauricio Cabrera assigned to Florida Fire Frogs from Gwinnett Stripers. February 21, 2018 Gwinnett Stripers invited non-roster RHP Mauricio Cabrera to spring training. February 21, 2018 RHP Mauricio Cabrera roster status changed by Atlanta Braves. February 20, 2018 Atlanta Braves sent RHP Mauricio Cabrera outright to Gwinnett Stripers. February 19, 2018 Atlanta Braves designated RHP Mauricio Cabrera for assignment. October 13, 2017 RHP Mauricio Cabrera assigned to Tigres del Licey. October 2, 2017 Atlanta Braves recalled RHP Mauricio Cabrera from Mississippi Braves. August 2, 2017 RHP Mauricio Cabrera assigned to Mississippi Braves from Gwinnett Braves. July 29, 2017 Gwinnett Braves sent RHP Mauricio Cabrera on a rehab assignment to GCL Braves. July 20, 2017 Gwinnett Braves placed RHP Mauricio Cabrera on the 7-day disabled list. May 7, 2017 Atlanta Braves optioned RHP Mauricio Cabrera to Gwinnett Braves. May 2, 2017 Atlanta Braves sent RHP Mauricio Cabrera on a rehab assignment to Gwinnett Braves. April 26, 2017 Atlanta Braves sent RHP Mauricio Cabrera on a rehab assignment to Florida Fire Frogs. April 2, 2017 Atlanta Braves placed RHP Mauricio Cabrera on the 10-day disabled list retroactive to March 30, 2017. Strained right elbow. June 27, 2016 Atlanta Braves recalled RHP Mauricio Cabrera from Mississippi Braves. March 12, 2016 Atlanta Braves optioned RHP Mauricio Cabrera to Mississippi Braves. October 5, 2015 Atlanta Braves recalled Mauricio Cabrera from Mississippi Braves. July 17, 2015 RHP Mauricio Cabrera assigned to Mississippi Braves from Carolina Mudcats. March 16, 2015 Atlanta Braves optioned RHP Mauricio Cabrera to Carolina Mudcats. November 19, 2014 Atlanta Braves selected the contract of Mauricio Cabrera from Carolina Mudcats. July 2, 2014 Mauricio Cabrera roster status changed by Lynchburg Hillcats. June 20, 2014 Lynchburg Hillcats sent RHP Mauricio Cabrera on a rehab assignment to GCL Braves. April 24, 2014 Lynchburg Hillcats placed RHP Mauricio Cabrera on the 7-day disabled list. March 31, 2014 RHP Mauricio Cabrera assigned to Lynchburg Hillcats from Rome Braves. June 13, 2013 Mauricio Cabrera assigned to Danville Braves from Rome Braves. April 1, 2013 Mauricio Cabrera assigned to Rome Braves from Danville Braves. June 16, 2012 Mauricio Cabrera assigned to Danville Braves from GCL Braves. November 18, 2011 Mauricio Cabrera assigned to GCL Braves from DSL Braves. May 28, 2011 Mauricio Cabrera assigned to DSL Braves from Atlanta Braves. 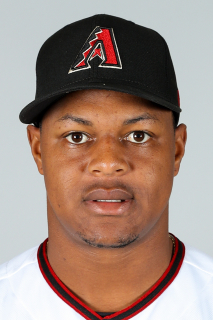 May 27, 2011 Atlanta Braves signed RHP Mauricio Cabrera.